I know in previous posts I said I was going to stop buying pots … and, I know in a previous post I said I loved the wide open spaces I was left with after recently selling/giving away about 30 pots … so, why I went onto craigslist and typed the keywords ‘planters’ and ‘pots’ in the search window is beyond me … except that look what I found! A man in Murrieta was selling 10 (10!) 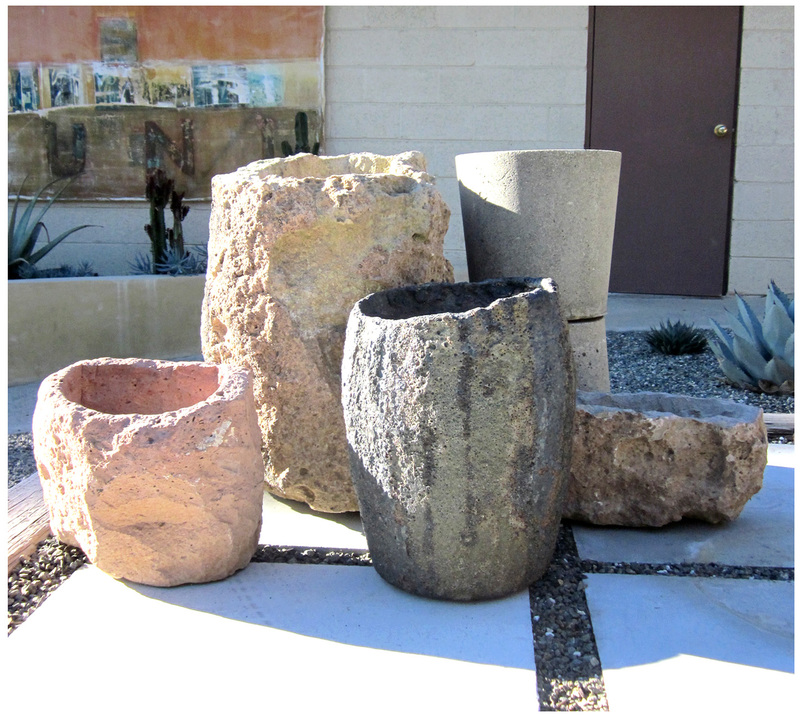 natural stone pots in various sizes, ranging from small, shallow oblongs to huge craggy boulders. 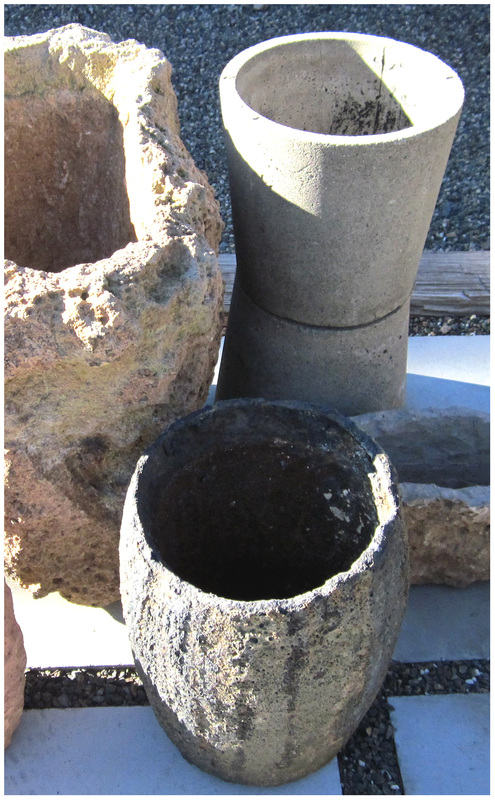 Instantly, I fell in love with the natural good looks of these alluring pots (some even had moss clinging seductively to their lava rock-lookalike surfaces). Sure, they were so heavy they required a cast of thousands to load onto the truck for the trip to the Rancho, but they’re gorgeous and will really look great with something-yet-to-be-determined in them for the garden tour … such a deal, too, at $350 (for all 10!). Regarding your title “still weak” I thought maybe you were feeling weak from hauling those beauties…but now I get it. You are weak in the face of temptation, we understand. And we hope you never stop! Ha! As if I could — stop, I mean …. truly awesome deal. You are too cool! Are more of those pots available? Did the seller make them? They are wonderful and we’d love a few! Sorry, the seller didn’t have any more of the rock pots… he’s a building contractor and had bought them from a landscaping wholesaler a while back, keeping some for contracting jobs and these for his own home. He’s leaving the state so didn’t want to take them … I’d never seen anything like them before so I jumped! a lot of cashola, but TOTALLY worth every penney! such texture. you are going to have so much fun filling those with awesome plants!